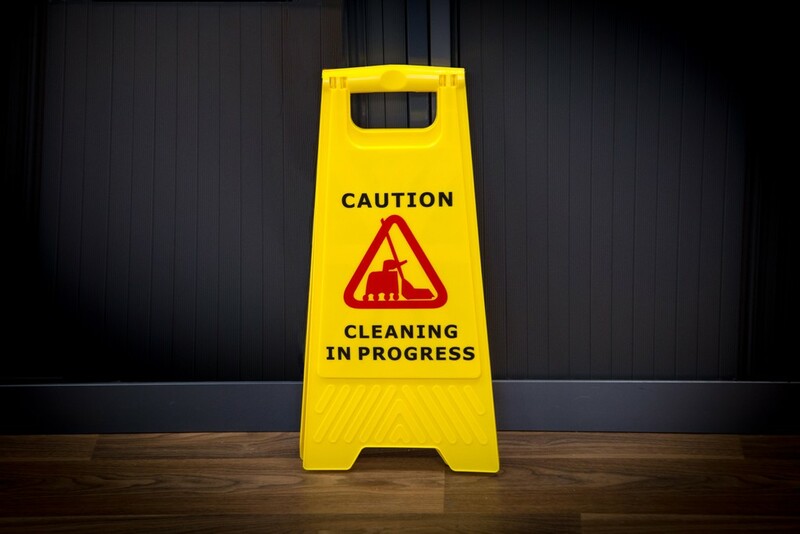 Maureen Kelso, head of standards & verification at the British Institute of Cleaning Science (BICSc), takes a look at the causes of slips, trips and falls and how to reduce the risks. Records show that the most common causes of slips, trips and falls are; spillages, wet surfaces, defective surfaces, obstacles and distractions - this can be the operative causing a distraction through personal choices (for example non-PPE items such as earphones or mobile phone use). Slips occur when there is too little friction between footwear and the surface being walked on. A combination of factors determines whether a slip accident will take place, these include the type of flooring, contamination of floor surface (e.g. water, oil or dust), type and condition of footwear and environmental factors such as lighting and an individual’s capabilities. The majority of floor surfaces have good slip resistance when they are clean and dry however this can alter dramatically when contamination is present as this lessens the slip resistance and in turn causes the slip. Some will say that if a floor surface is shiny reflective, it is likely to pose a high slip risk when wet therefore wet mopping would increase the risk significantly. There is also the issue that the shiny reflective surface is perceived to be a slip risk and therefore individuals alter the way that they walk on it giving a higher risk factor to that floor type. It is now a common request in hospital dementia wards for a matt finish to be applied to the corridor and circulation area floors because of this increased risk. 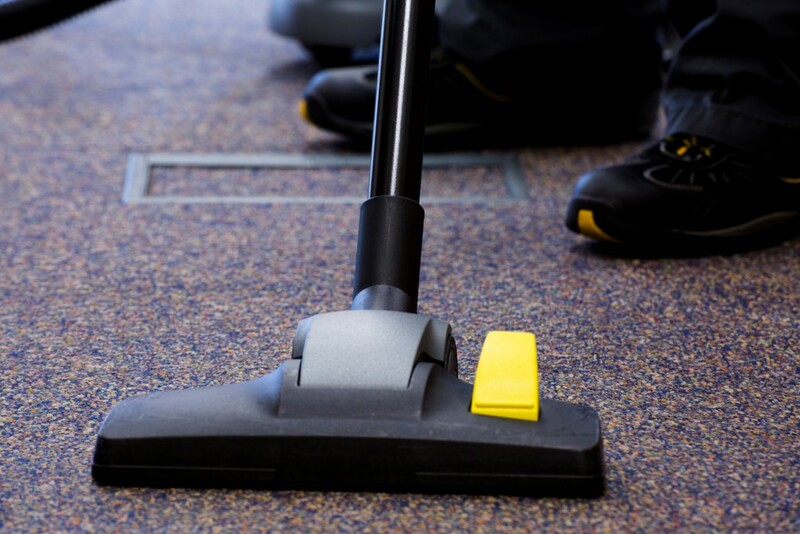 The risk of slipping can be reduced substaintially through the choice of mopping equipment however, by ensuring surfaces are left virtually dry on completion. Slip risks can also be reduced by training cleaning operatives to use equipment correctly and more importantly to understand the consequences of not following training and instruction. Trips happen when your foot hits an object and as a result you lose balance. Tripping accidents are caused by the following factors; changes in levels, uneven surfaces, trailing leads, unattended equipment, type of footwear as well as environmental factors such as poor lighting. When we trip, it is normally because the foot is stopped by an obstacle causing a forward motion of the body. If unable to control and stop the motion and recover our balance it may result in a fall causing injury to the head or limbs. Cleaning operatives often have no control over where trailing cables and leads may be but may equally cause a trip hazard through incorrect placement of equipment. Technology now enables machinery to run without leads and this alone would reduce the risk of trips significantly. The correct usage and placement of warning signs can also help in preventing trip incidents. Falls are usually the result of slips and trips. There are two basic types of fall; same height falls and falls from heights. By far the most common of these is the same height fall. Falls from a height and slips, trips or falls on the same level are associated with more fatal and major/specified injuries to workers than any other injury. In 2013/14 falls from a height were the most common cause of fatalities, accounting for nearly three in ten (29%) of fatal injuries to workers (RIDDOR). Slips and trips were the most common cause of major/specified injuries to employees, with falls from a height the next most common (RIDDOR). Slips, trips and falls were responsible for more than half (57%) of all major/specified and almost three in ten (29%) over seven-day injuries to employees, making up 36% of all reported injuries to employees (RIDDOR). The latest estimates from the Labour Force Survey (LFS3) show the rate of injuries due to slips or trips was 190 per 100,000 workers and the rate for falls was between 48 and 77 per 100,000 workers. Slips, trips and falls have a combined estimated number of working days lost of 1.5 million (slips and trips: an estimated 986 000 working days lost, falls: estimated 567 000 working days lost) (LFS). In 2015/16 144 workers were killed as a result of a workplace accident (RIDDOR). 26% of these incidents related to a fall from a height. An estimated 621,000 workers sustained a non-fatal injury at work according to self-reports (Labour Force Survey - LFS). Of these injuries 200,000 led to over three days absence from work and 152,000 led to over seven days absence. 19% of these workers were injured due to a slip or trip. We can see from these figures the importance of legal requirements placed upon employers to identify, manage and reduce the risks. There are many ways to reduce the risks. The choice of cleaning equipment and materials for exmaple can positively reduce the risk of slips by having the most effective cleaning regime in place dependent on the floor type. Best practice is to remove the risk of slipping on wet floors by purchasing equipment which will leave the surface as dry as possible. Innovation and technology is constantly changing and searching for ways to carry out high risk tasks with a view to lowering the risk to the users and all others. As previously highlighted machinery that is battery operated and now with improved battery life or multiple batteries, requires no leads, additionally there are now robotics that eliminate the risks further.